PRETORIA, South AfricaProviding sound reinforcement for some of the most popular artists in today's South African music industry, MGG Productions recently deployed HARMAN's JBL VTX line arrays, Crown I-Tech HD amplifiers and Soundcraft Vi Series consoles at the Afrikaans is Groot Music Show in Pretoria. Organized by Coleske Artists, the Johannesburg leg of the annual music concert saw nine sold-out shows at the Moreletapark Auditorium in Pretoria, which seats more than 7,000 people. MGG Productions was the sole technical supplier for audio and lighting, with Project Manager Denzil Smith and his expert team putting in many hours of hard work toward this popular event. 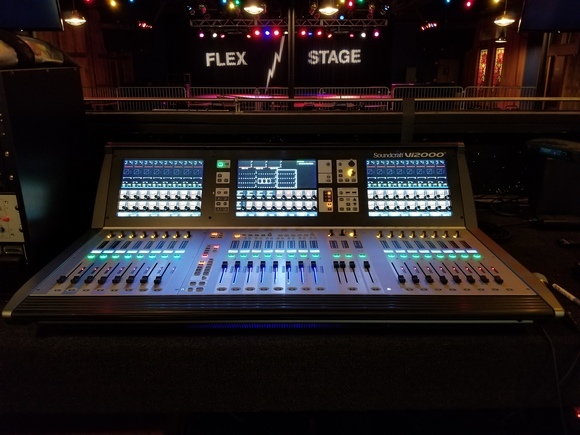 Regional HARMAN distributor Wild & Marr was on-hand to provide additional technical support and EASE plots to ensure an even distribution of sound for the audience. 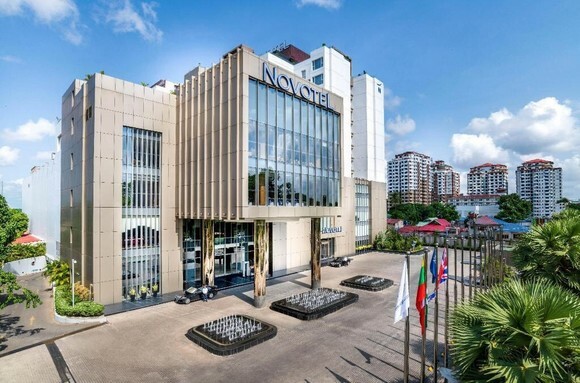 The audio system featured a total of 32 JBL VTX V20 line array elements (featuring 12 per side for the main PA plus a center hang of eight), 10 VERTEC® VT4886 subcompact line array elements for front fill and a combination of VTX G28 and VTX S25 subwoofers in cardioid formation. 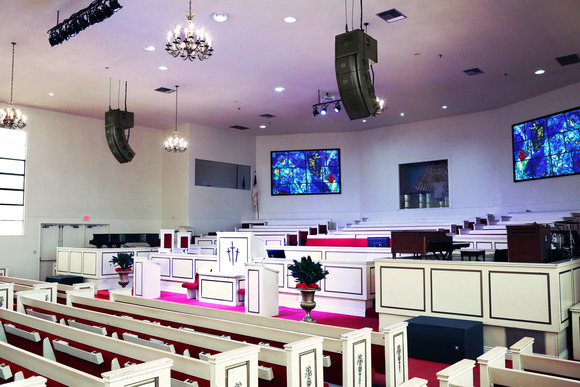 JBL VTX F15, F12 and SRX712 loudspeakers were used for stage monitoring. Artists were simply blown away at the audio quality and SPL available for coverage on stage. 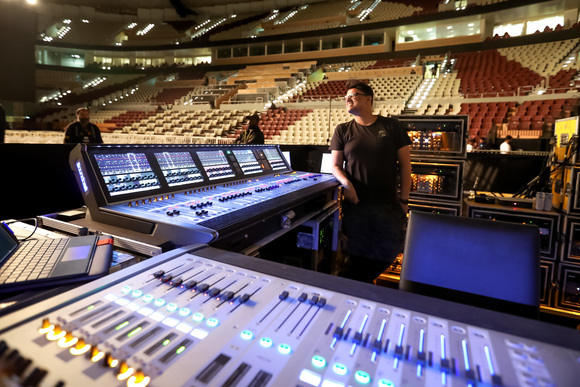 All loudspeakers were powered by Crown VRacks, which included I-Tech 12000HD and I-Tech 4x3500HD amplifiers, while system management and control were handled with JBL HiQnet Performance Manager™ software. 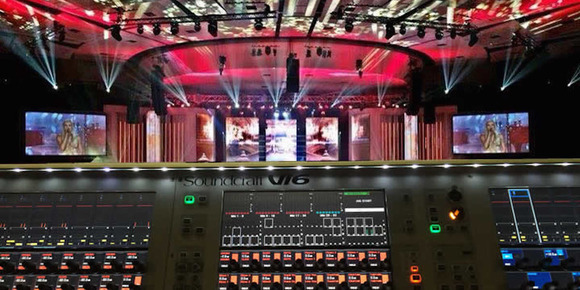 The FOH control was equally impressive with Soundcraft Vi6 and Vi3000 consoles connected with RealTime Rack. The Vi6 controlled all band inputs and additional multitracks for playout from Pro Tools. This was connected via an additional MADI card. The Vi6 was also used to trigger scenes to the Vi3000 via MIDI (and Ethernet which triggered the RealTime Rack). The Vi3000 was used to handle vocals and sub scenes.